Do you actually need to screen share to demonstrate your website or product? Perfect for demonstrations, you can now include screen recordings in your PowerPoint presentations with just a few clicks. 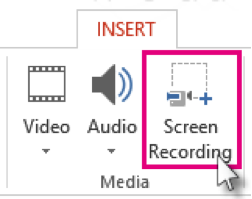 Just set up whatever you'd like to record on your screen, then go to Insert > Screen recording, and you'll be able to select a portion of your screen to record, capture what you need, and insert it directly into your presentation in one seamless process. 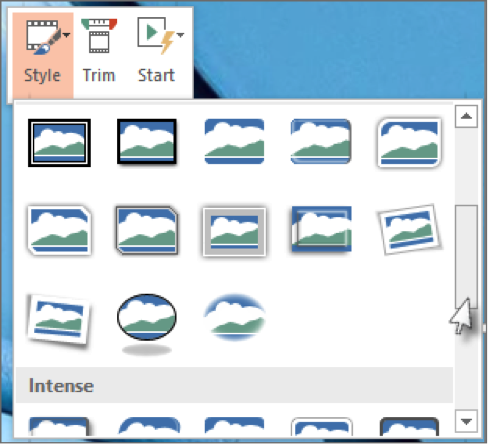 You can record your computer screen and related audio, and then embed it into your PowerPoint 2013 slide ― or you can save it as a separate file. On the Control Dock, click Select Area. NOTE The minimum size area you can record is 64x64 pixels. When you see the cross haired cursor , click and drag to select the area of the screen you want to record. 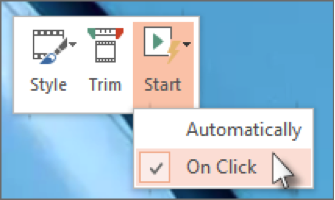 TIP PowerPoint will automatically record the audio and the pointer. To turn them off, deselect Audio and Record Pointer. TIP Unless you pin the Control Dock to the screen, it will slide up into the margin while you record. To access an unpinned Control Dock while recording, place the cursor at the top of the screen. Click Pause to temporarily stop the recording. Click Record to resume recording. Click Stop to end your recording (shown below). On the File tab, click Save, choose a folder, and in the File name box, type a name. TIP Use the Next Frame and Previous Frame buttons to specify precise timing. 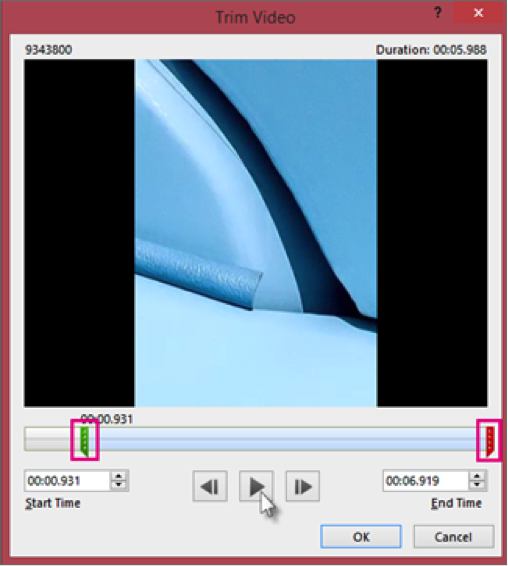 To trim the end of the clip, click the endpoint (shown in the image above as a red marker). When you see the two-headed arrow, drag the arrow to the desired ending position for the video.